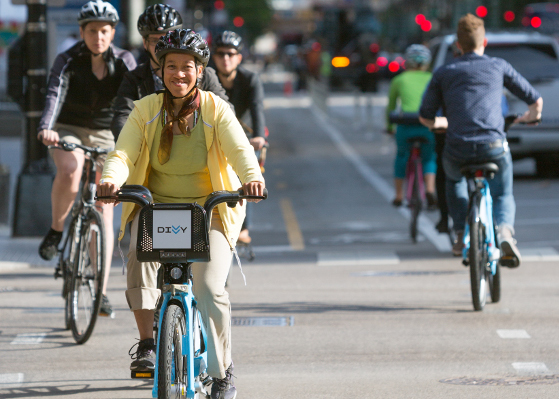 It’s time for American bicycling advocates, government leaders and the public at large to permanently retire an idea that’s been hurting our economy, preventing equitable development and generally holding our country back. Here’s the destructive, mistaken idea: that great biking is something a city pays for if it can afford it. The truth is just the opposite. In the modern United States, creating protected bike lanes and other great bikeways are something a city does to help create prosperity. Great bikeways are things people make so they and their governments can afford to do all the other important things they want to do. Great biking, in other words, is wonderful. But for cities, it’s not the end goal. Great biking is the means. Skills are scarcer: Companies are scrambling to attract the most skilled Millennials and Gen X-ers, who increasingly prefer downtown jobs and commutes that don’t involve a car. Cities are more popular: Americans are flocking to urban areas, creating demand for solutions that increase traffic flow without adding congestion. Unhealthy lifestyles are more expensive: With health care costs near an all-time high, employers are scrambling to encourage active living. We are literally running out of room for all our cars: In the country’s newly thriving urban shopping districts, physical space is at a higher premium than ever before. 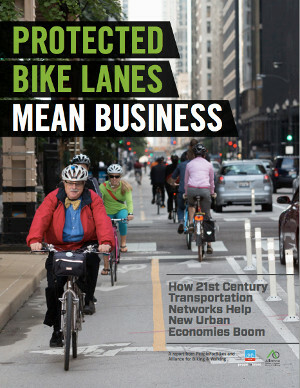 In today’s report, we use 15 stories from thriving businesses in Texas, Illinois, Oregon, California and Washington DC, backed with up-to-the-minute research from academic and government studies, to show with concrete examples and personal stories how bicycles, and the protected bike lanes that are proven to put more people on bicycles, are solving each of these problems and creating economic growth for the cities that are using them. We’ll also be covering these issues over the next week here on the blog. But you can start by checking out the full report, and maybe sharing it with someone else who might be interested. Neither of you may think about better biking the same way again.